The idea of genre is a helpful and annoying one: people like to identify where things fit, particularly on bookshelves, but they don't want to be constrained by it. As we've seen over the course of this column, science fiction's character has vastly changed in the centuries of its existence, transforming and splitting into its own little factions over time. Science Fiction history tends to focus on the transition between Golden Age SF and New Wave SF, but it doesn't really seem to examine how truly complicated the situation was moving into the 1980s and 1990s, where science fiction became an even broader definition than ever before, encompassing new works that were different than what came before. Interestingly, The SF Encyclopedia noted that while Bujold has become a highly popular author, there's not much written about her. That'll change later this fall with a dedicated entry in the Modern Masters of Science Fiction series issued by the University of Illinois Press. In the meantime, I found few entries in my usual references. Lightspeed Magazine Interview 1 and Interview 2: each provided some helpful information. 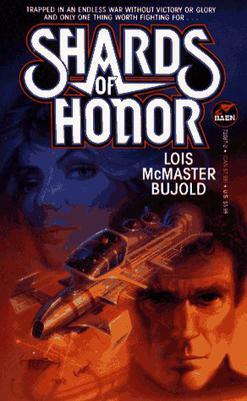 Bujold has a fantastic essay titled Space Opera, Miles and Me, a good look at how she views her writing. The SF Encyclopedia also has a good entry on her.